And the sale continues…and it just gets better! I hope you guys enjoyed my last sale roundup of all things fashion, beauty and home. Now that I’ve done my shopping, it’s all about Ale! Baby girl loves being fashion forward and I’m taking advantage of this sale to stock up on some of my favorite baby essentials. 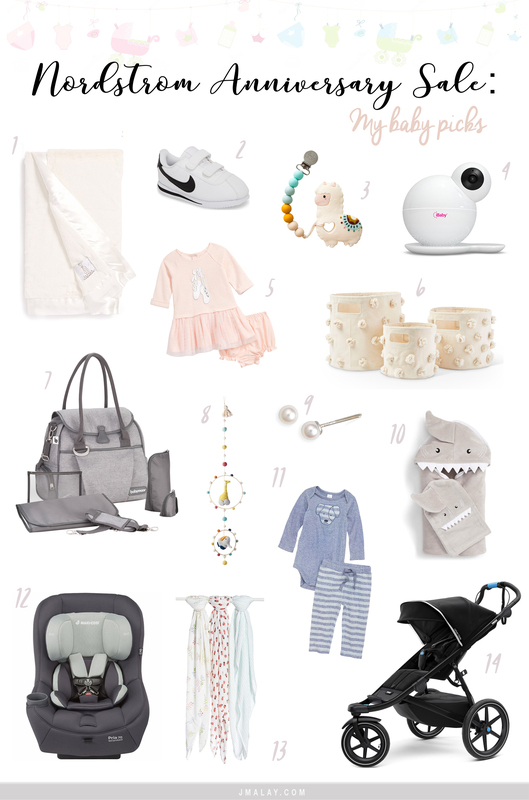 So many great buys on some of my favorite baby brands that I’ve been using since Alessandra was born. Today I’m sharing my favorite baby picks from clothing, gear, to accessories, so whether you’re a mama, auntie or godmother..I’d take advantage and stock up before the sale ends on August 5th! Hope you loves have an amazing weekend and happy shopping!! These cute items make me want to have a baby LOL! Especially the adorable Nike sneakers. Awww you’re so sweet, thank you love <3 Hope you're having a great weekend! Ale is the cutest!! Nordstrom has the cutest baby items!